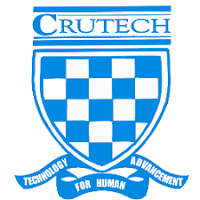 This is to inform all prospective UTME and Direct Entry candidates, who have completed change of Institution to Cross River University of Technology and those intending to change to CRUTECH but are having difficulties in processing their admissions to report in the main campus of the University in Calabar from Monday, 8th January, 2018. Time: 9am each day. The University has set up a team in the Management Information System (MIS) Unit to assist such candidates in completing their admission process. Please note that this facility will be available from Monday, 8th to Friday, 12th January, 2018.